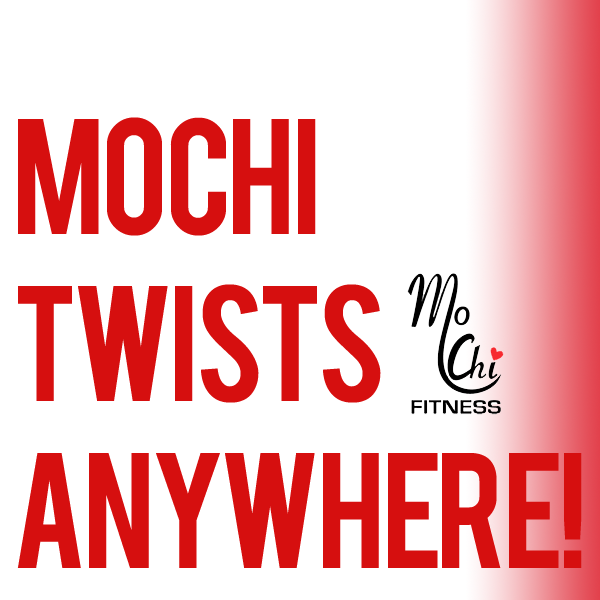 MoChi Fitness has shown how to take care of your heart all month long and this last post is the ultimate treatment: Taking you and your best friend (your heart) to new places! Working out in new environments aside from the gym, especially outdoors, is not only good for your physical health but your mental health as well. According to a 2011 study, exercising outdoors correlated with a decrease in anger, confusion, stress, and depression. So what better way to relieve your heart’s problems than with a little fresh air and new sights. Park your MoChi and you at the Park or Playground. That nearby park is the perfect place to bring both your dog and your MoChi Twister. And who says the playground is for kids only? Twist away while your kids play on the jungle gym. Get a good game (and twist) in at the Golf Courses. One of our MoChi fans took his Twisters to the green and twisted during his friend’s turn. The twist exercises not only helped pass time along but improved his swing! Twist and cheer at your kids’ Sport Games. Tired of sitting on the bleachers? Twist and shout while your kids kick and score! Soccer, rugby, and baseball games are probably the best bets for sideline sets of twisting and shouting. Move on your MoChi during ultimate outdoor activities: Camping and Hiking. Don’t wait until you get home from camping to hit the gym and twist. Pack your twister for your camping or hiking trip and move whenever you have downtime. Your outdoor experience will bump up your level of appreciation for exercise and the great outdoors. Stretch and twist at Rest Stops. Road trips can be a doozy on the body. Sitting for more than 6 hours a day (in one sitting) can increase your risk for diabetes, heart disease, and obesity. When you take that pit stop, make sure to twist it up! School, during the kids’ recess breaks. Vacation, twist off the fat and feel less guilty about all that eating you’re doing. Hotel, business trips can include mini twist sessions. Airport, sitting around the gate can be boring. Twist while you wait. Parking Lots, while you wait for someone/something like waiting to pick up your kids from school or from a movie. Home, make mundane activities more fun on the MoChi. Watch tv, do your chores (the safe standing ones), or work from home all while twisting. Be Brave! It may feel a little weird to be twisting on your MoChi while cheering on your kids during their games, but the feeling will pass. The stares you get will mostly be out of curiosity and jealousy, because they’ll be thinking why didn’t they get in an efficient workout during their busy schedule too? The world is your oyster. Twist when you can and when it’s, for the most part, not disruptive. There’s no need to bring attention to yourself, but you do have to pay attention to your heart and give it every moment of exercise you can give. Be Inclusive! Like the old saying goes, sharing is caring. If you’re showing your heart some love while you twist in interesting places, you’re likely to peak other people’s interests. Invite them to join you, and twisting in new environments will be even more fun. Bring Props! Weights, hula hoops, scarves, medicine balls, the works. If you’ve got the option to tote these things along, do so. It’ll make the workout for your heart a little more dynamic and fun.